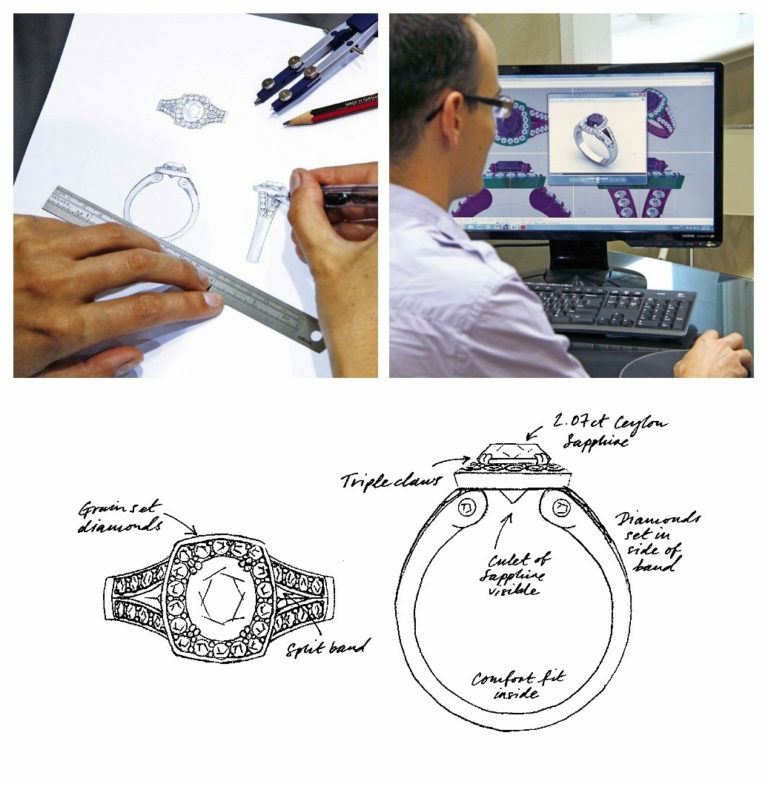 Larsen Jewellery offers a design service for customers who wish to initiate the design process prior to committing to a sale. The design service comes at a minimal cost, and provides the customer with an opportunity to visualise their customised design with a photo-realistic computer drawing, which they are then able to adjust and tweak. When the customer has finalised and approved their design, the full cost of the design service is credited towards their order.